The benefits of installing hardwood flooring are endless. One of the greatest aspects of hardwood flooring installation is the aesthetically pleasing qualities that will compliment virtually any décor including furniture and paint colors. This flooring tends to look high end while appearing to add more space to the area where the wood flooring is installed. There are many other benefits to installing hardwood floors beyond the added beauty to a business or residence. 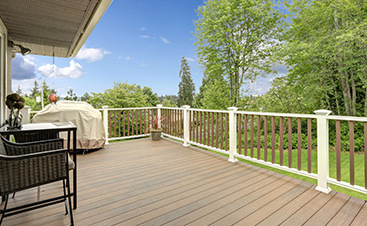 Hardwood floors are structurally sound and preferred as a more traditional type of flooring. However, there are many more advantages to installing hardwood floors beyond the class and beauty offered by this type of flooring. Hardwood floors are known to be sturdy with minimal maintenance. A quick vacuum or mop can easily clean hardwood floors. Mopping with decent wood cleaner will leave wood floors gleaming with the added advantage of drying quickly. Hardwood floors are known to last for generations regardless of how many times they might be cleaned. 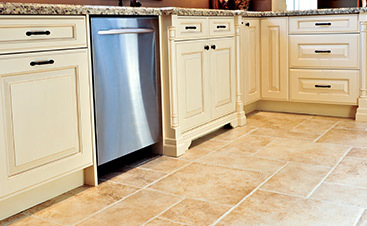 Installation leads to durability for high foot traffic including playful pets that love to run and play in the house. Various forms of hardwood floors are scratch resistant or skid resistant further revealing the durability of hardwood installation. One of the primary benefits of installing hardwood floors is the overall added value to the home. The long term value of the flooring will exceed the cost of installation by far. 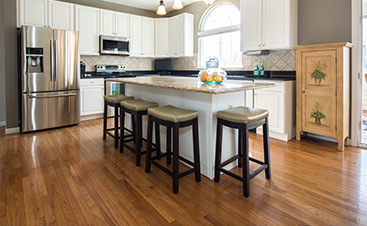 Hardwood floors are a great selling point when putting a home on the market. 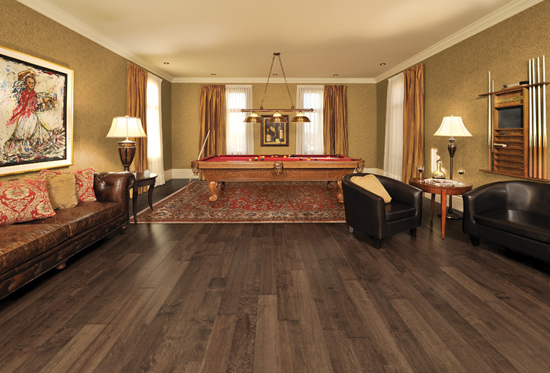 Value is added by the endless variety of hardwood flooring that is manufactured or unfinished. There is also a huge amount of variations and finishes to properly compliment any home. The most difficult part of installing hardwood flooring is choosing the stain or texture preferred by any homeowner. Unlike carpet, hardwood floors can be refinished and restored to the existing look or a newer stain adding to the extended life of the flooring. Installing hardwood floors can help avoid dust or allergens that can affect virtually anyone or any animal in the home. The lack of fibers from hardwood floors will lessen the ability for dust mites. Hardwood floors can literally better air quality. This is especially true for residents with allergies or asthma that are affected by dust in the home. Animal dander is also an easy target for carpeting. The installation of hardwood floors combined with proper cleaning will cut down on pet dander drastically. Hardwood floors have an added bonus of limiting vibrations or hollow noises, while adding better acoustics. The benefits of installing hardwood floors regardless of the wood floors being manufactured or unfinished can attribute many positive aspects to a home. The durability and added value to any home or business will only enhance the aesthetics along with the resale value of any property. One final benefit that is extremely important is the fact that hardwood floors can be repaired rather than replaced, which can save a great deal of money. Installing hardwood floors can easily lead to a better quality life with a pleasing home environment.